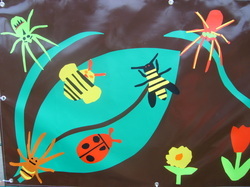 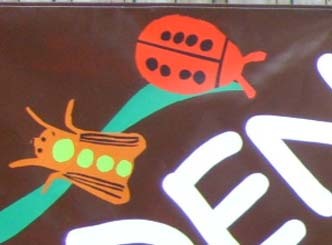 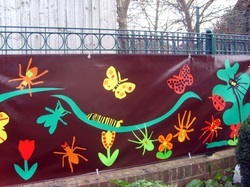 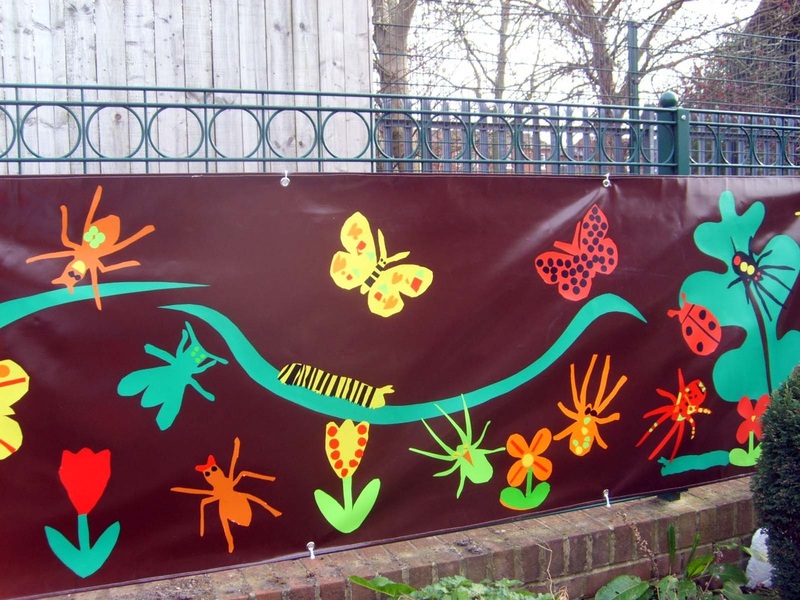 Working with children from Burradon Nursery School, we created an outdoor banner in vinyl for their nature garden. 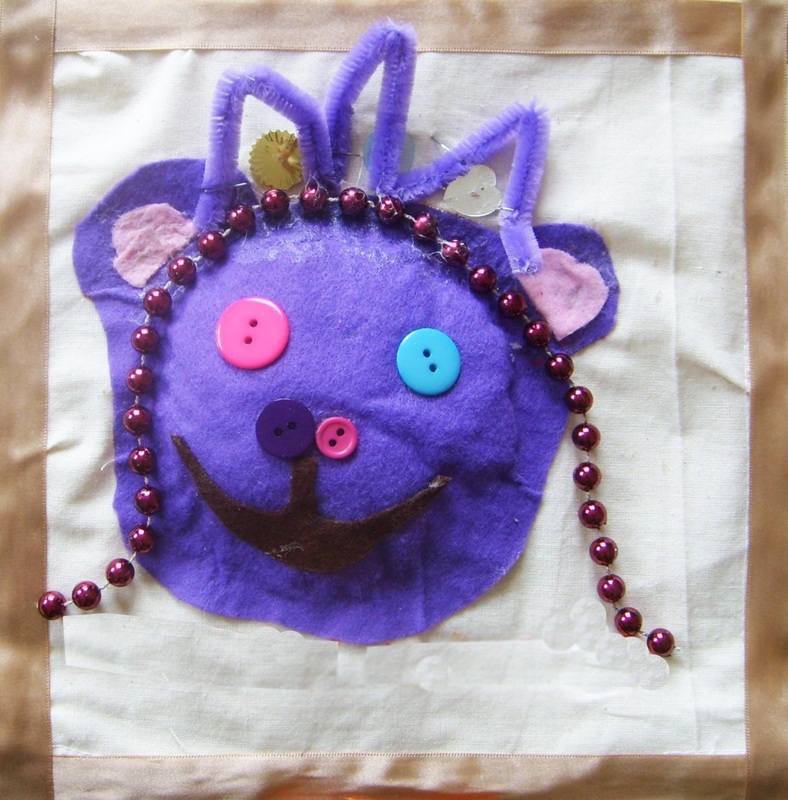 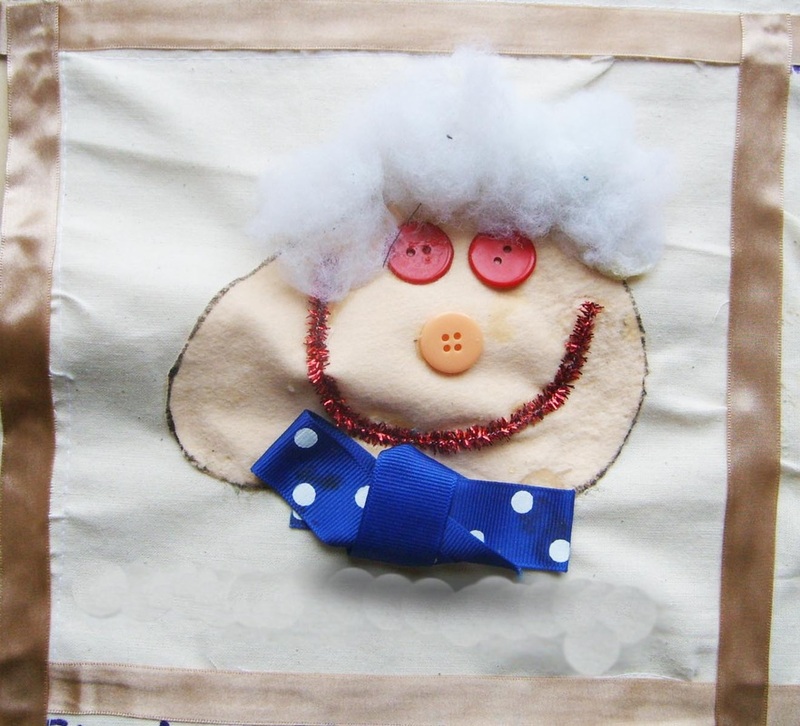 Children from Usworth Colliery Nursery School made the 107 collages of their teddy bears. 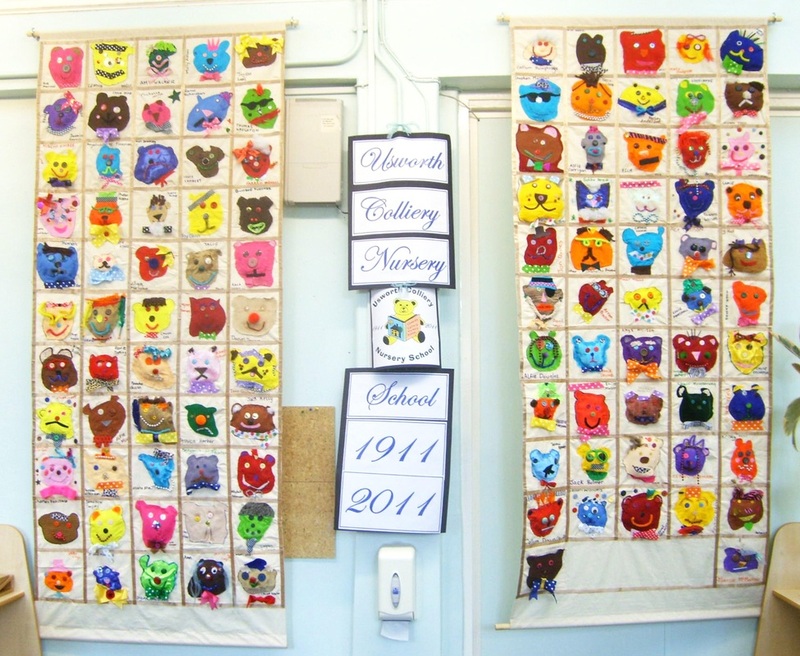 I then stitched them together to form the two beautiful banners that hang in their classroom. 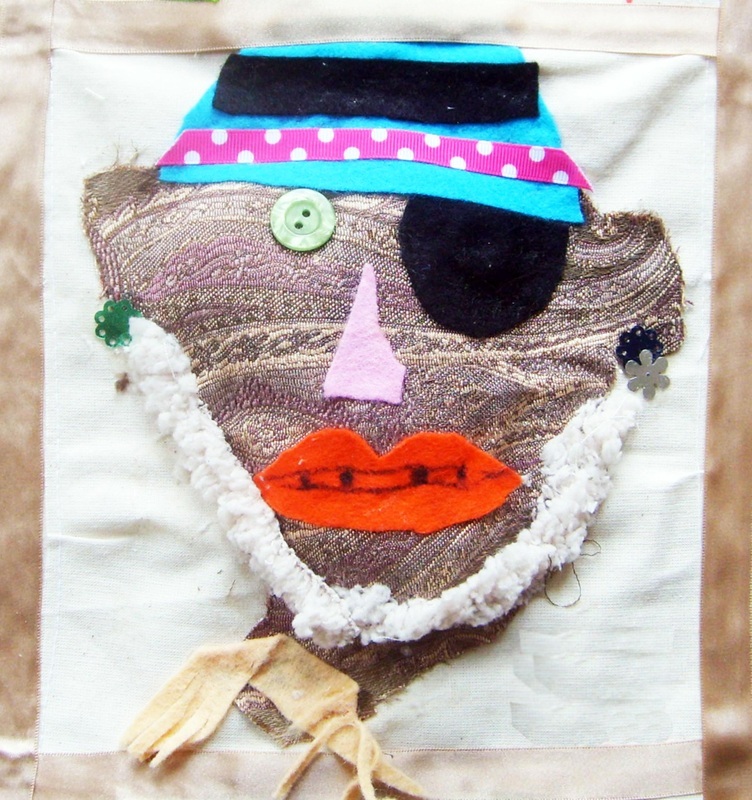 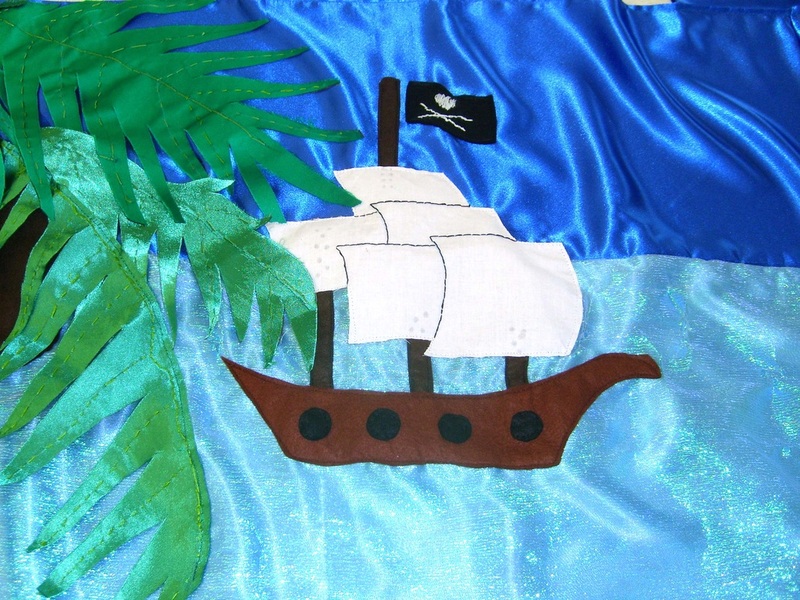 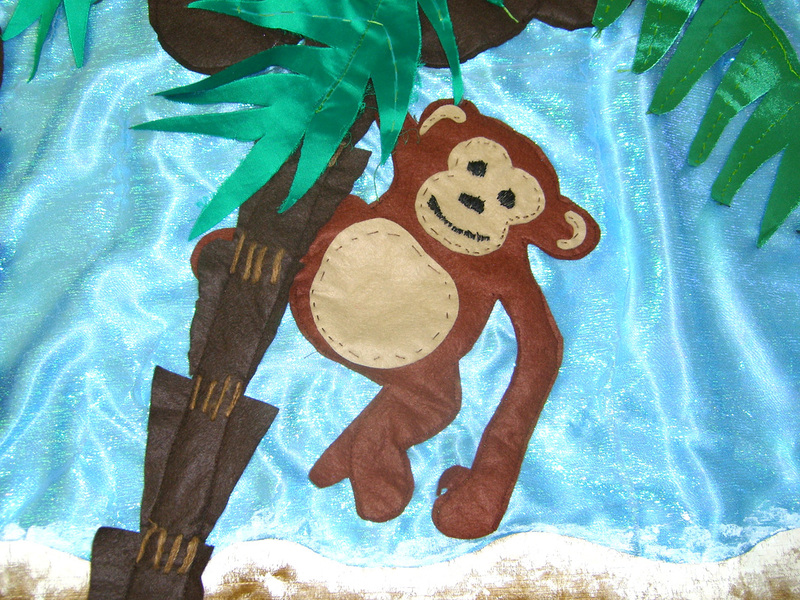 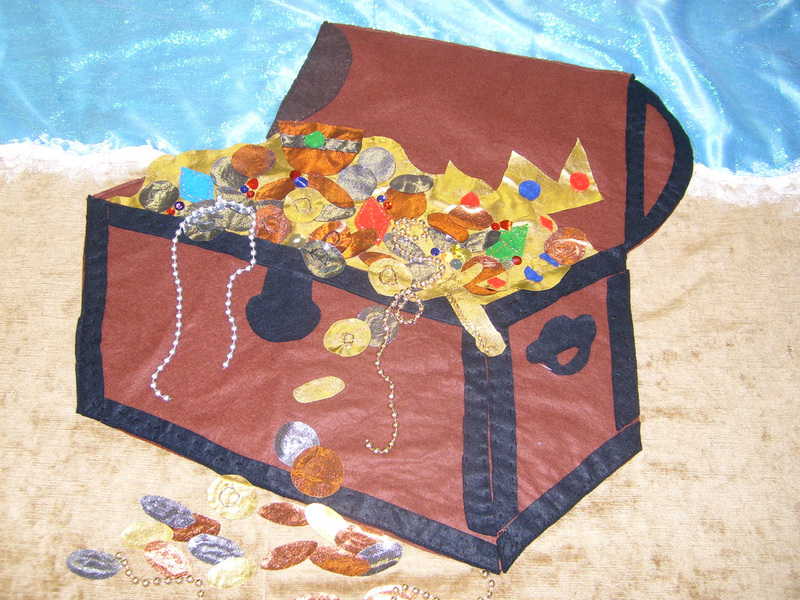 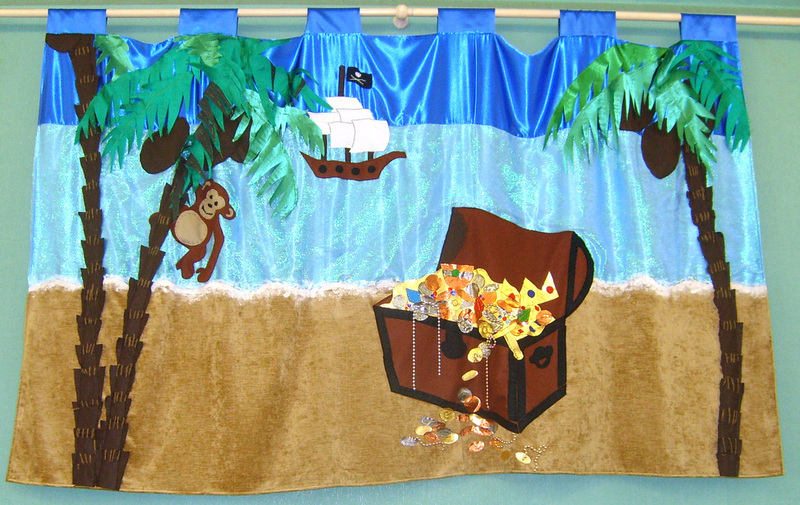 This was a large hand stitched banner made using various fabrics that the children stitched together using basic sewing techniques.